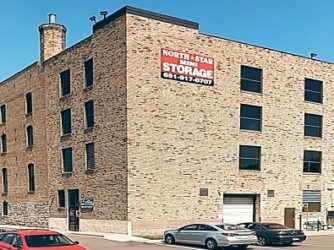 When you need a secure, centrally located storage unit in St. Paul, MN, choose North Star Mini Storage. We pride ourselves on giving you the right space with the right conditions for the right price. Click Here for Pricing, Availability, and to Reserve a Unit! At North Star, your items’ safety is our first priority. We know that you won’t rest easy unless you know that your family’s or business’ prize possessions are secure. That’s why we offer a top-of-the-line security system with video surveillance and monitoring. Each space has an individual alarm system that goes off immediately if the alarm is cut or the code isn’t entered. We offer a variety of storage space sizes, so whether you need to store a few cardboard boxes or a washer, dryer, two sofas, and a four-wheeler, you’ll find a space that’s right for you. All of our spaces are climate controlled and leased month by month. You’ll love our well-lit, secure premises, located in our beautifully renovated historic office. For nearly four decades, we’ve been proud to serve our friends and neighbors in the St. Paul area. Let us serve you too! We make our storage services convenient. You can browse available storage units online, select the best choice for you, and move in on the same day. You won’t have to deal with a pesky security deposit or a long-term commitment, and we welcome walk-ins. Moving is hectic enough without a frustrating experience with your storage company—so trust us to give you an easy, safe, and inexpensive self-storage solution. If you have any questions, be sure to give our manager, Bill, a call at 651-917-0707. And if you are ready to select and reserve your storage unit, just click on the Reserve Now link below. We’re located conveniently off of University Avenue and I-94.